Thanks to interest from readers and responders like you, I have had a lot more opportunity to check my original work and the calculator is holding up quite well under public scrutiny. Thanks to everyone who gave feedback or wrote notes of congratulations - it's made this whole project really, really fun! Fairness is a funny thing. One person's fair is another person's rip-off. 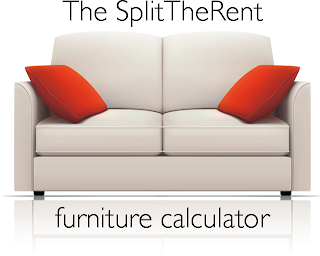 So it is important for a rent-splitting calculator to jive with a broadly intuitive sense of fairness. It can't just be what I think is fair - or what any one person thinks - or it won't be useful. In order to validate and calibrate the formula I used for the rent-share calculator on this blog, I did a rather in-depth survey on "apartment sharing fairness" with my friends. Here are the results - enjoy!